It takes guts. And we’re not talking about how Wolverine battles it out with Sabretooth or how he saves the world from Magneto. We’re also not talking about how he signed up for crazy experiments in the Weapon X program. What we’re talking about is that rather daring and audacious outfit that he wears! Bright yellow and blue? That vibrant color combination is only reserved for the bravest of superheroes, since it’s like painting a target on your back for supervillains. Of course, Wolverine can take it. His mutant healing factor means that he can take it just as well as he can dish it out. Are you ready to wear Wolverine’s attention-grabbing X-Men uniform? How about you start with this Wolverine costume tee? 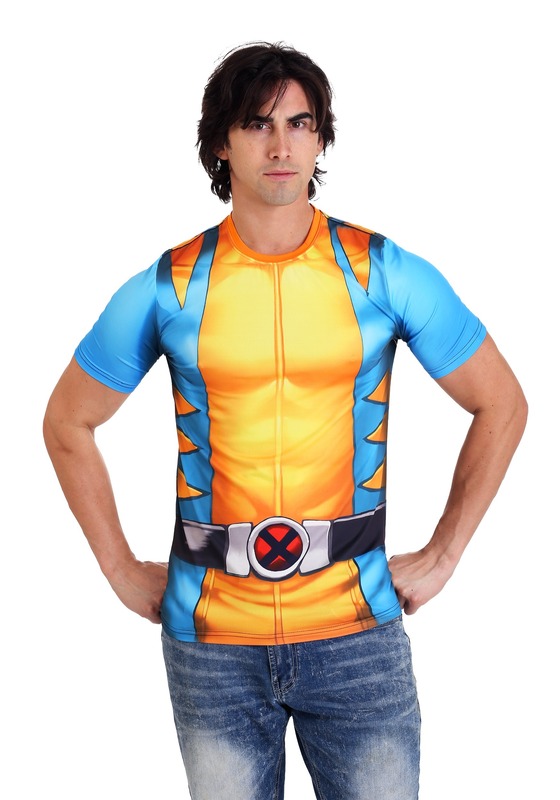 Based on the iconic X-Men’s style, this t-shirt gives you an easy option for transforming into the Marvel superhero. The shirt is made out of a spandex blend and stretches to fit. The front is bright yellow, with printed muscles and blue accents on the sides. It even has faux “ink” shading to make you look like something from the page of a comic book! Once you wear this X-Men Wolverine shirt, you might just feel courageous enough to take on Sabretooth. Just remember that this shirt doesn’t actually give you any of Wolverine’s powers, so you might want to cool it when it comes to challenging supervillains to a fight!